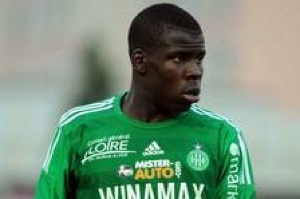 Interesting transfer news are out claiming that Chelsea are chasing St Etienne defender Kurt Zouma. The Daily Mail revealed that the 18-year-old France Under 20 international, who was an unused substitute against Ghana as the age group World Cup got underway on Friday, is powerfully built and stands at 6ft 2in tall, leading to comparisons with Marcel Desailly. His club believe they can get around £10million for the player, with a host of clubs from across Europe, including Atletico Madrid keen.